ConfidenceWorks is my system designed to maximize your strength, confidence, effectiveness, and beauty so you are showing up in the world the way you want to - the way you deserve to. This system will change the effectiveness of your work, your connections with others, and the overall way you ARE in the world! It is truly transformative at a core level. If you're wondering what offering is best for you, let's chat, I can help clarify what will work best for you or even customize a program that's right just for you! The bottom line is, at the core of everything.... #ConfidenceWorks! Join me and some of our strongest, most confident friends as we take two full days in a beautiful atmosphere in Southeastern Pennsylvania to focus on our authenticity, strength, confidence, and connection while using our bodies, minds and spirits. You are guaranteed to walk away from this weekend looking at the possibilities of greatness before you in a way you haven't before. This is your opportunity to take time just for yourself and make a real difference in the way you go back home and to work to make the biggest impact you can. This experience can be customized to meet your needs and the depth of change you want to experience while you are here. Schedule a call with me today to customize this experience just for you. Nancy will take the time to observe and evaluate the functioning of your department, organization, or your own workings. She will evaluate where improvements in communication, efficiency and effectiveness can be had by building the core confidence of your team. She will take into consideration where your team is and what route is the best to take with your particular culture, team's personality, and company's core values. This is as customized and confidential as it gets! Spend 2 full days one-on-one with me as I walk you through your life and show you, in the moment, practices and changes designed specifically for you to see the biggest results possible for YOU. You will see immediately, in the moment, the power of confidence in your life and work. Because this offering is 100% about YOU, we will plan your days out together based on our planning call. This call gets to the heart of the matter so that when the day comes to meet in person we can dive right in, ensuring we maximize the days and your results. I won't just leave you to fend for yourself, I will follow-up with you to be sure that you are staying where you want to be. This check in will determine where you might need some additional actions or practices to keep you on track and make sure your changes permanent. Do you learn and change best when you have a like-minded community supporting you and holding you accountable? Than this is the right option for you! This 6 month mastermind group will attract women like you. We all know that more strength and confidence will help us develop our voices so we can say "No!" when we need to, say "Yes!" when we need to and make those decisions easily and confidently. You will KNOW what is right for you and your life as a whole and easily make the decisions that will get you there. * Exclusive, secret facebook group where you will have your questions/concerns/issues answered by myself as well as your like-minded community of support and accountability. * Submit more detailed questions to be answered live on the weekly call. This is your chance to connect with me one-on-one to get help with that which you are struggling. Three calls throughout one month to dig deep and get the to heart of what you are dealing with. ​This is a great way to jump start any of my programs or can also be an add-on option for any of my other offerings to help customize your experience. ​Nancy's #ConfidenceWorks! Workshop will surround you with the energy needed to find your confident core and use it moving forward. 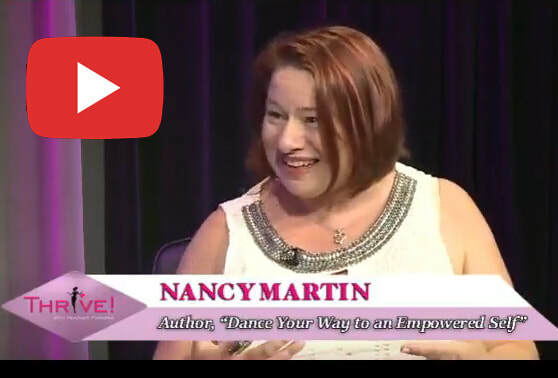 Through exploration, connecting, shared energy, and movement, Nancy shows how to embody your confident, authentic self. By tapping into this inner power that you already have, you will find that you are lighter, you make more powerful decisions more easily, you find beauty in places you haven't before, and you move through life with that beautiful, feminine body of yours with grace and strength. Join a community of like-minded people where we focus on your specific needs and work together to build each other's confidence. Come to our in-person, monthly groups or join our secret facebook group where you can feel safe to share your your needs to the group for support from myself and the other women. Ask me how I can offer a group in your area or how you can join our facebook group. Prepare your daughter for the huge culture change that happens when transitioning from high school to college. Prepare her for this new lifestyle so that she can remain strong while being on her own for the first time. Statistically, those of us that have been physically, emotionally, or sexually abused had it happen more than once and by people we know. It's in inability to say "No" to those that we love, adore, respect, or are intimidated by that allows most of these things to happen to us. Building that core confidence and ability to hear that intuition is what prevents these terrible experiences from happening. It's when we are strong that we are able to stand up for ourselves in times of intimidation or other weakness. Campus Confidence is a course that prepares your daughter for what lies ahead and builds that strength before she is put into these situations. Self defense classes are great for dealing with strangers or getting away in extreme circumstances, but only if you have the confidence to use what you learn. This course gives her the strength to use whatever she needs to in extreme situations AND gives her the confidence to say "No" and walk away in those quiet, intimate situations too. * One-on-one Session with me to customize to your needs.